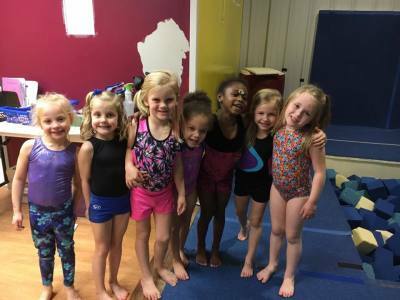 Beginner Gymnastics- (ages 6 and up) The beginner class is designed for girls in elementary school who are just getting started in gymnastics. The gymnasts will be taught all of the gymnastics "basics" and beyond. There is a Beginner skill chart that MUST be completed in order to move up to Intermediate Gymnastics. Examples of skills taught: pullovers, cartwheels, bridge kickovers. 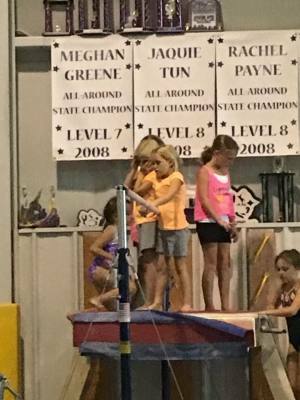 Intermediate Gymnastics - (ages 7 and up) Intermediate gymnasts have successfully completed the Beginner skill chart and are ready for more advanced skills. 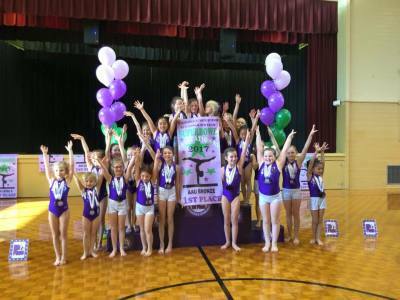 Examples of skills taught: back hip circles, cartwheels on beam, round off, beginning back handspring. These gymnasts have successfully completed the Intermediate skill chart. 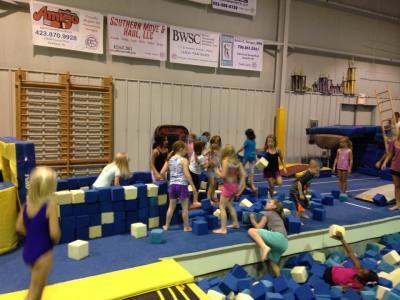 In advanced class, the gymnasts come extra time in order to learn more advancd gymnastics skills. 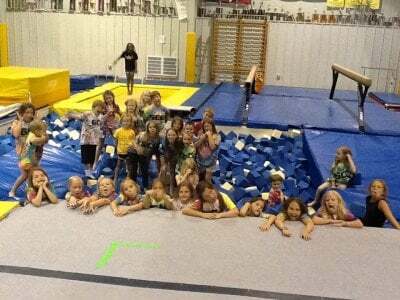 Beginner Tumble - Our beginner tumbling class consist of learning basic tumbling skills on the spring floor, tumble track, and trampoline. Basic tumbling skills taught are: handstands, walkovers, cartwheels, round offs, and rolls. 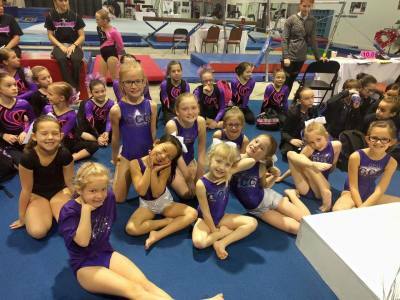 Intermediate Tumble - These tumblers have successfully completed the beginner tumbling skill sheets. Intermediate tumbling skills taught are: standing back handsprings, beginning round off back handsprings, front handsprings, and front tucks. 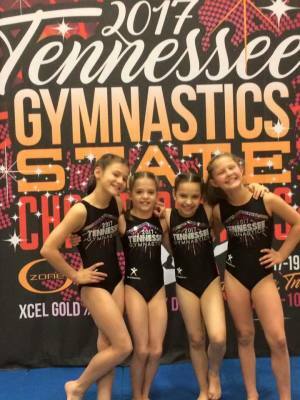 Advanced Tumble - These tumblers have successfully completed the intermediate skill sheets. Skills taught in advanced are round off back handsprings, back handsprings in sequence, back tucks, front tucks, and any other advanced skills. ​ Online enrollment has now closed for our January session of classes. Returning students may call us to schedule a class time. New students may fill out a registration form below, without enrolling in a class, and we will contact you to discuss possible class openings.